Paoli PA Home Loans | Purchase and Refinance Mortgages | Old Glory Mortgage Inc. Welcome to Old Glory Mortgage Inc.! Whether it be a purchase or refi, we can do it all for our clients. With over 20 years of mortgage experience, I personally oversee your loan from application to closing. With our new expanded product line, we are now able to help people who couldn’t qualify the last few years due to credit scores. Located on the main drag of Route 30/Lancaster Avenue, across from the Paoli Train Station. Walk-ins are welcome anytime, after hours by appointment. Our Jumbo Loans are among the most competitive in the industry, including 95% LTV options, and we encourage you to give us the opportunity to see what we can do for you. 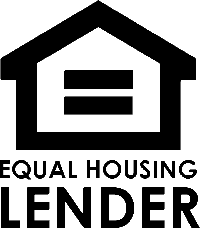 Often times people have questions about Pennsylvania Jumbo Loans. We have created a manual to help find the perfect Jumbo loan for your needs. Where can I find a Pennsylvania Jumbo Home Loan? Who Can qualify for a PA Jumbo Home Loan? Seniors age 62+, use your home to make you cash. A reverse mortgage is a great option to keep your home while still living the lifestyle you want. Click below to find out all about reverse mortgages. Thank you for taking the time to visit our website and please let us know how we can help you.